I have already escalated your issue. You'll get a response from our concerned team soon. 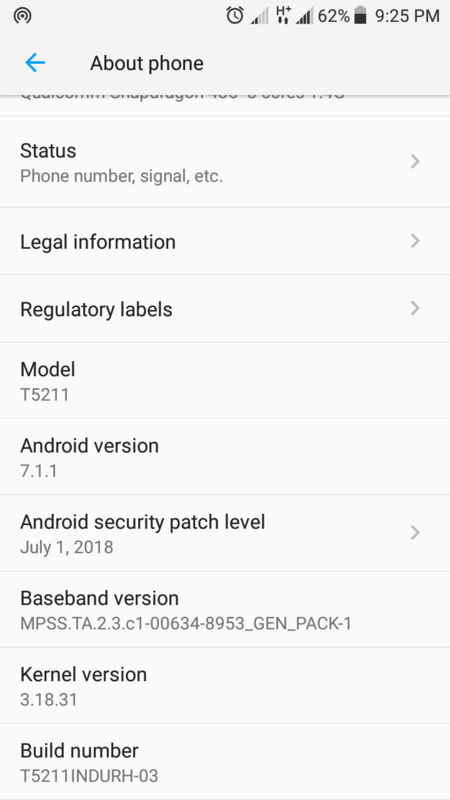 @Abhishek_TV is any new update planned for t.phone p.
When will android security patch will come in smartrone tphone p ??? It's about July 2018. ?? When will new update come?? @Abhishek_TV is @smartron team working on any major update / update for t.phone p.
No. We are currently not working on an update for the t.phone P.
@Abhishek_TV I want to use 3G internet on one sim while keeping other sim on 4G network, please make this possible in Smartron T Phone P.
Example: I want to use Airtel 3G internet on one sim while keeping Jio sim on 4G network mode (LTE) because Jio doesn't work for WCDMA/GSM network mode. Why I don't see Smartron launcher and other Smartron apps like tcloud etx on Play store. This is not possible as in order to work Jio on your phone, you should enable data on the Jio SIM. So you cannot use internet data on the other SIM if Jio is enabled. @Abhishek_TV where is the option to change region in t.phone p?? 'T phone p ' is one of the greatest smartphone in indian market in 8k budget . There is no option to change the region as we don't have markets outside India. However, you can change the region for the date, time and the language. @Abhishek_TV What does the first point of brief release note mean then ? All the t.phone p users kindly note that the FOTA support for t.phone p is over as confirmed by @Abhishek_TV. It's not even one year since the launch and no major upgrades have been provided. Also only once they gave security update. I personally bought smartron product as it was an Indian company and now feel cheated.